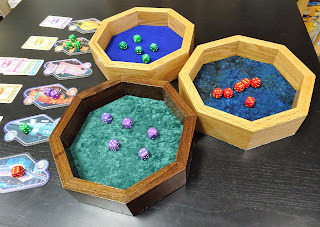 Biotix is a compac press-your-luck game for 2 - 5 players. To gain scientific super stardom you must row a culture of highly volatile microbes, while sabotaging the work of others, by pushing their populations to bio-react and explode in all sorts of fun ways. Marshal & Prisoners - adds a prison car to your train. Freed prisoners can earn you more money. The new marshal on the scene comes with a ton of bullets, some specific items, and secret objectives. Also new to the scene is Mei, a new character with marital arts abilities. Horses & Stagecoach - Horses allow you to move around the train or over to the Stagecoach to nab one of the Hostage characters. Hostages can earn you a tasty ransom, but while you're holding onto them, you'll need to cope with their escape attempts. Beyond Baker Street is a cooperative card game of deduction. 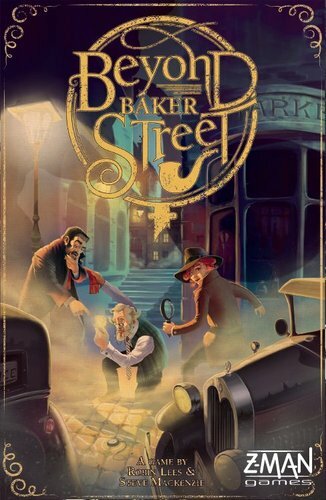 Players are cast as Scotland Yard detectives trying to beat the iconic Sherlock Holmes to the punch in solving the latest murder investigation. Elevenses is a 2 - 4 player card game for 1920's respectable socialites who want to serve the finest morning tea. To do this, you'll play cards to your play area creating a spread of sandwiches, biscuits, cakes, and tea. Each card has a point value as well a special action which must be carried out when it is played. The lower the point value of a card, the better its power is. 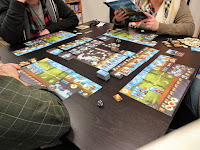 The powers lead to surprising interactions between the players. When eleven o'clock strikes the player with the best spread wins. Above and Below blends town building and storytelling. 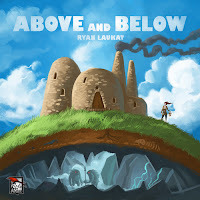 You will build your village above ground and explore the cavern below. You'll need to manage your villagers, each with a unique identity. 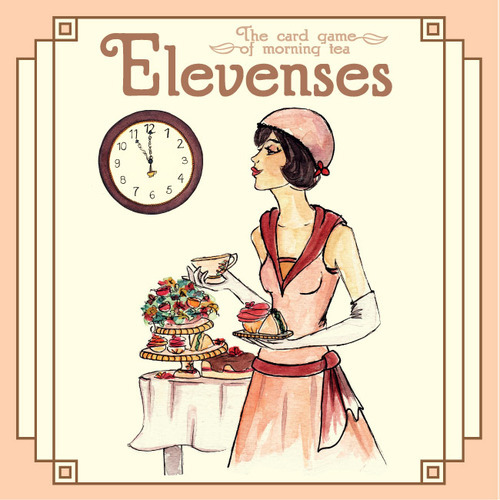 A book of encounters gets you into the storytelling aspect of the game. 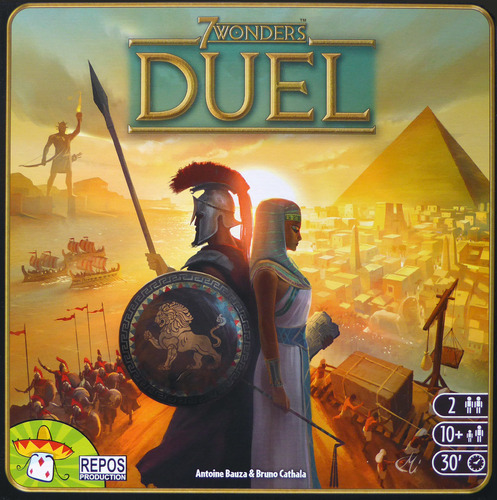 7 Wonders Duel is a 2-player stand-alone game. 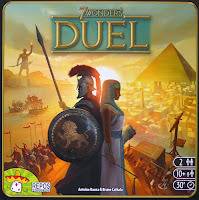 It uses some of the same mechanics as the popular 7 Wonders game. 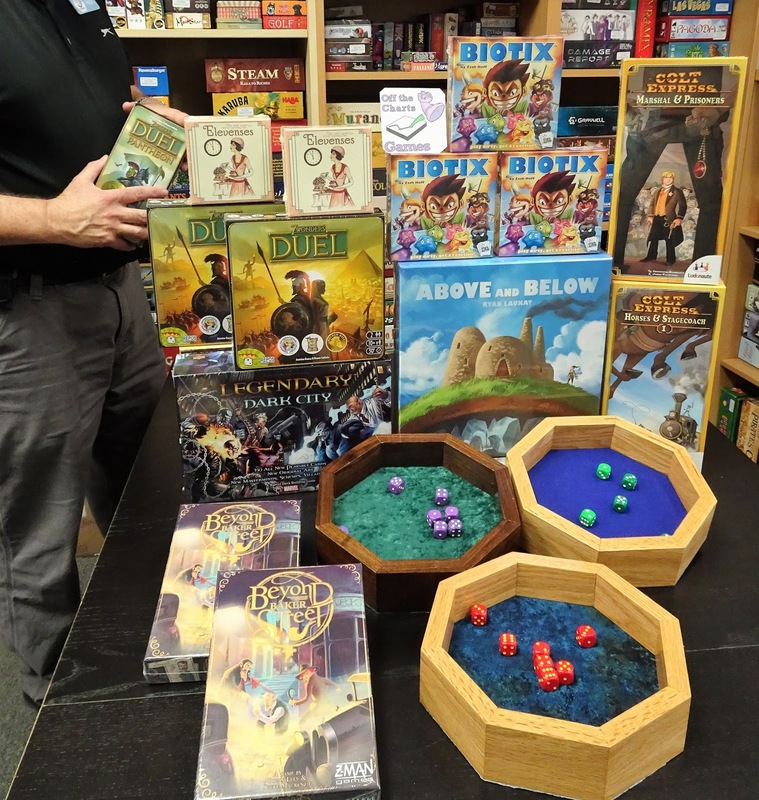 Duel offers a new system of card drafting,3 victory conditions, scientific progress, and original military system and 12 Wonders.